Ciclopirox is a drug commonly prescribed by dermatologists as a cream or lotion to treat skin infections caused by fungus. Researchers at Rutgers University have found that the drug may have a new potential use; treating HIV. 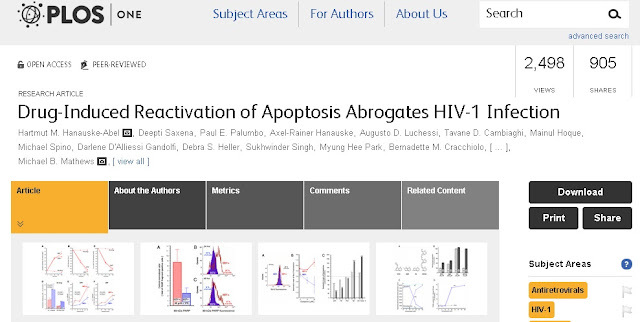 In lab cultures, Ciclopirox has been shown to eradicate HIV infected cells by selectively targeting the cell's apoptosis (cell death) mechanism. The virus is completely destroyed by the drug, unable to survive even in a re-missive state. To top it all of, drug accomplishes this while leaving healthy cells unaffected. This is potentially ground breaking. It's no secret that a cure for HIV has been a long sought Holy Grail of health in Africa. with nearly 1 in every 20 adults (4.9%) living with HIV and accounting for 69% of the people living with HIV worldwide, Africa has a mammoth public health crisis. Millions of dollars in research have so far only produced drugs that keep the HIV virus in remission, and the cost of these drugs have made them largely inaccessible to many of those affected. If Ciclopirox proves to be the prototype for an effective cure, it would be a medical revelation. The researchers at Rutgers tested the drug in culture, and these sorts of tests have traditionally only been the starting blocks in a marathon race for any drug destined for human use. However, since the drug has already been FDA approved for treatment of fungus in humans, and similar drugs have been granted exceptions to the FDA’s normal process, it is possible that research will quickly skip to phase 1 human trials. It's too early to be overly optimistic, and the gravity of the potential benefits here make it even more important to wait for the science to develop. But if this drug can serve as the prototype for a new cure for HIV, it would constitute a solution to one of the biggest health concerns in Africa.